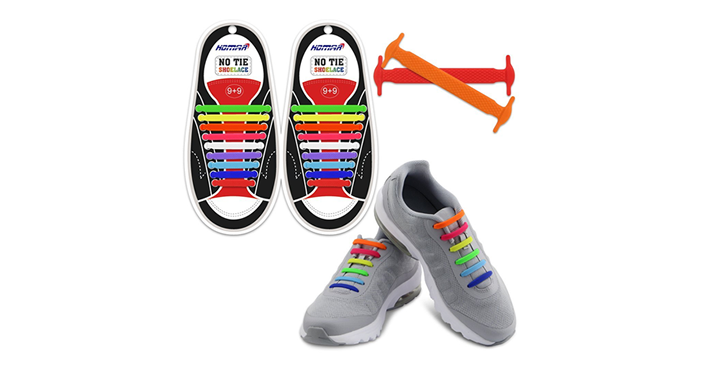 No Tie Shoelaces for Kids and Adults – Just $3.99-$7.99! Awesome Price! Know someone who needs some help keeping their shoes tied? With spring just around the corner, we are looking at less boots and more lace up shoes! There are so many reasons to need a different way to tie your shoes! Have you seen these awesome alternatives to regular shoe laces? Check out this GREAT price! Check out Amazon’s price on the No Tie Shoelaces for Kids and Adults! Priced at just $3.99-$7.99!